I may have only been back a few days after returning from Austria and Bavaria but was relieved to get away again after a horrible week in which we sadly lost our dog. 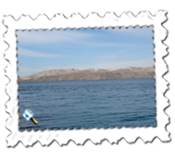 I heard on the day I was leaving for Gatwick to go to Croatia and, just as I was leaving, fate dealt another bad hand when an email arrived from Venezia Lines saying that the sailing I was booked on just over a week later had been cancelled. 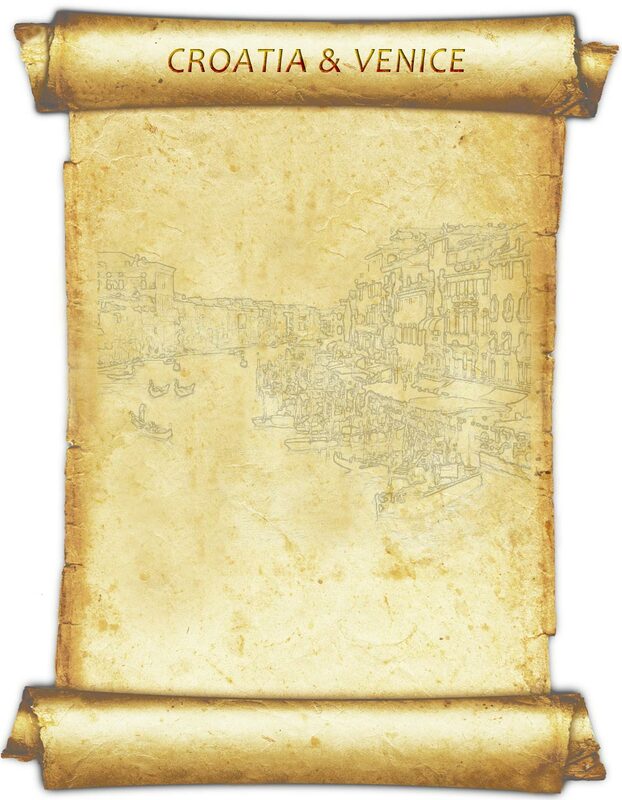 It had taken ages to book the journey after a computer glitch was blamed and now I was without a passage to Italy. I had investigated alternatives before booking so was well aware of what to do but left for Gatwick and a 5.50am easyJet flight the following morning hoping that things would improve. Having been on the early shift at work during the week, getting up at 3.25am on the Saturday was grim. It could have been worse had I gone along with my gut instinct of arriving two hours before a flight at London airports. It’s nearly always too early but this time, with an hour and a half, it worked out perfectly. The easyJet flight was fine, on time but, for my long legs, there simply isn’t enough legroom. Arrival at Split found pretty heavy rain which wasn’t what I had anticipated but, as the day went on, it did get slightly better. The idea of this holiday was to make my way up the Dalmatian coast so, in true fashion, I started off by staying at Brela further down the coast on the road to Dubrovnik. It’s fairly close to Makarska and, frankly, the coastline is stunning. With a mountain range behind and beautiful azure blue seas in front lined with palm trees, it really is hard to beat this area. I stayed at the Bluesun Soline Hotel whose facade has seen better days but it has a terrific location, the staff were friendly and helpful and the buffet breakfast was quite a feast. Okay, if you don’t like tour or package groups, consider somewhere else but I enjoyed my stay there and had a room with a balcony and sea view. What more can you want? I also found an equally terrific restaurant on the prom called the Hrast. It had nice views especially from the terrace outside – sadly a bit of a gale put paid to that prospect on the second evening – and they served very good sized and reasonably priced meals. My standard fare of a meat meal with a glass of local wine, later beer, tip and a cherry brandy which they threw in cost just over £11. ( I must add that, now aged 49, the cherry brandy tasted as good and familiar as it had when I went to Yugoslavia with my grandparents at the age of 13. Okay, maybe 14...) The Hrast was a lovely place and I would unhesitatingly recommend them. 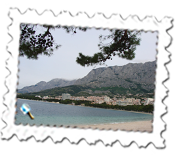 The weather brightened on Sunday and I had a superb walk from Brela to Makarska ( around 12 to 13 kilometres) and back. Walking very close to the shoreline with the mountains in the background, this walk must rank amongst the most enjoyable I have made taking into account how much I enjoy Swiss walks. It was quite special. Okay, I accepted the plaudits for walking around 30kms that day – people saying wow and you must be supremely fit etc: well, yes, to a degree but it’s only fair to add that it was predominantly flat... 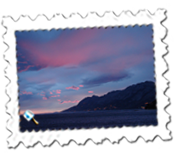 Passing through delightful towns such as Baska Voda and Promagna, my final stop of Makarska proved to be as good as it is made out to be up. Another larger town with an impressive backdrop, it is a popular place and has that wonderful al fresco feeling. I’m not sure that I did so well on Monday, mind you. Up at 6am to catch a pre-booked online Autotrans coach from Split at 9am, the closest bus stop to take me to Split was around one and a half kilometres from the hotel and it wasn’t a heap of laughs lugging a heavy case and backpack up a fairly steep hill with, at times, no pavements – yes, more bends in the road – but I made it but wouldn’t have managed 30kms, suffice to say. 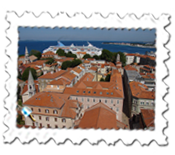 My second port of call was Zadar which was a three and a half hour drive from Split again along some formidably beautiful coastal scenery. Arrival in Zadar was at 12.30pm but, as I had plenty to occupy myself with, I stayed on to see the town before checking in to the hotel at Puntamika, a twenty minute bus ride away. With the weather picking up further and indeed being glorious, this ancient Roman city was made even more attractive. 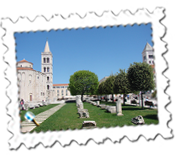 Like many Croatian towns, Zadar’s historic part has little alleys and gems lurking behind many corners in addition to the famous sites in the main square. It is a delightful place. I stayed at the Hotel Donat in Puntamika, which is part of the Falkensteiner group. Set in their own large park like area close to the sea, it was immediately better than I had expected. Falkensteiner have three hotels here ranging in standard and, okay, I went for the three star Donat. At 41 euros a night and all-inclusive, I did wonder what on earth I might get but I take the view that I am quite satisfied if I have a roof over my head and ideally en suite, am watered and fed. It was ideal in all those aspects. Yes, it is a bit like a holiday camp, you get understandably tagged – that said, I avoided putting mine on but had no problems – and the room was simple. The maxim of you get what you pay for isn’t quite correct as it is really is exceptional value. The evening buffet was a veritable feast: my advice would be to have a recce first and then attack it as there is a vast selection in all sorts of areas. There’s a lot of meat, fish, salad, vegetables, any number of desserts and if you don’t mind having your wine from a small beer-type glass – okay, I know that I’ll be labelled a snob but I don’t care – then it can be considered quite a meal. The main problem is inevitably what to take and what to leave. For my part, I tried my best, failed dismally and reassured myself that I deserved it after my 30km walk yesterday. One of the most intriguing dishes, translated into English, was Sharks in Vienna. It was a Wienerschnitzel... I also enjoyed some sign language with a cleaner to inveigle another pillow which was similar to a Fawlty Towers episode in which Basil instructs Manuel to take a case upstairs using three sign boards. In my case, the cleaner had to be brought into my room, shown a pillow, we both put two fingers up and, when she acknowledged it, I gave her the thumbs up. It worked. Guests of the Donat and Adriana, Falksteiner’s other hotel in the complex, can use the main hotel’s spa facilities. Essentially, you pay for what you choose to use and the spa is certainly very good. Beware, though, that there’s a sign before the sauna reminding guests that they can be removed for wearing anything so, for the prudish, think first. In addition to the sauna, there’s a pool and a gym and it’s pretty good value. 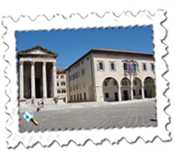 Up early after two days in Zadar, I had a long but enjoyable day travelling from central Dalmatia to Porec, much closer to Italy and with a definite Italian feel to it. Railways are not common in Croatia and, where they do exist, they aren’t especially quick, I believe, so coaches are the main form of public transport. 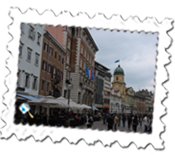 They are plentiful, comfortable and two companies, Autotrans and Brioni Pula, offer online bookings which I was grateful for as there was only one bus from Zadar upwards which would have got me there and I didn’t want the anxiety of wondering if I would get on it. 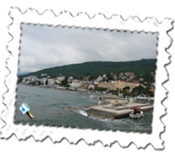 In the event, it was a quiet coach and rather than stop off in Rijeka and wait almost three hours, I decided to go onto Opatija, just twenty minutes further on and have an hour there. 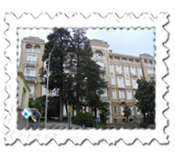 I went to Opatija thirty-five years ago and enjoyed returning to what to me then was a remarkable hotel, the Imperial. It struck me as being the grandest and most opulent hotel in which I had stayed and it was lovely returning and having a look around but, somewhat sadly, its facade could do with a lick of paint as it is in the faded glory category. It’s not alone in Croatia and maybe there’s a reason but it was lovely to return to Opatija, which also doesn’t strike me as having changed much. Having started off at 7am, I reached Porec at 4.45pm and quite quickly found the more modern and impressive Valamar Diamant Hotel where I stayed for three nights. It has a pleasant wooded location in Brulo, around fifteen minutes from the centre. The hotel states that it is a ten minute stroll but not even I can do it in that time having asked for the quickest way into town. I took the half-board option and the food was magnificent and the room very decent. On my last day, I felt obliged to take on the somewhat severe-looking maitre d’ to ask if I might whip some food from the evening buffet to have for my breakfast as I was leaving well before breakfast started. He struck me as ruling with an iron fist so I approached him as confidently as I could and, as it turned out, he couldn’t have been more obliging. I paid my bill later and was offered a lunch box also so left very happy with the entire experience. 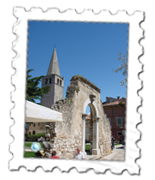 Porec itself is a small town with some Roman remains but much smaller than Rovinj and Pula further down the coast. I visited both the latter and found them magnificent. 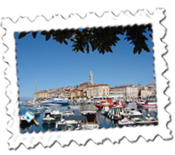 Rovinj is again another very pretty coastal town made memorable by its massive cathedral which dominates the backdrop. 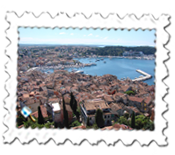 I walked up to the highest point in the tower and enjoyed the magnificent views of the town and outlying islands. 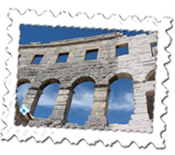 Pula is well-known for its Roman amphitheatre which has been described as one of the best preserved in Europe. It is most impressive as is the city generally although it is slightly more spread out. The Italian feel exists in all the places I visited and, with glorious weather and quite a lot of walking, it was terrific. And tiring. 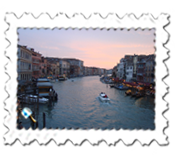 After the Venezia Lines cancellation, the only realistic way of reaching Venice was by coach to Trieste and further train to Venice. Maybe the prospect of having to get up at 5am made me feel exceptionally tired the evening before but, despite an indifferent night, I felt quite a bit better despite a further early start. In the event, everything went so smoothly that I was in Venice by 10.20am after buying my train ticket in some halting Italian. If the chap from whom I bought the ticket appeared to appreciate my efforts, the ticket inspector most certainly didn’t as I hadn’t validated my ticket and it was pointed out to me that it was written in English on the back of the ticket. So, off I had to get at the next station to validate the damn thing. I booked through Hostelbookers into a place called the Atlantide. It was very reasonable too and I paid just 37 euros for a single room with a bathroom and balcony - okay, the door didn’t open on to the balcony but there was a window and I got out through it - and, for its location, it was excellent value. There is so much of interest and to do in Venice and, with gorgeous weather, it was a wonderful end to the holiday. I didn't get lost either, enjoyed the main sights of the Rialto Bridge and San Marco area so saw a good deal before I was able to check in to the Atlantide at 2pm. In the evening, an elderly couple asked if they could sit at the same outside table of the restaurant I ate at and were tremendous company. 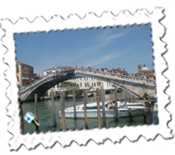 They were spending a fortnight trying to see every street of Venice and the lady enjoyed the crime novels of Donna Leon which are set in Venice. They had had a great surprise walking around with one of her books when a lady stopped them, mentioned the book and told them that she was Donna Leon. Venice at dusk was magical too and it was an excellent day. I left the following day just before 9am and was, for once, glad to have arrived two hours early as Marco Polo Airport wasn't the quickest place to get through and, coupled with easyJet missing their slot and new rules at Marco Polo meant that there was quite a hefty wait before departure for Gatwick. It's odd that, at immigration at London airports, the last two officials I have seen have both commented and known Sudbury where I was born. For my part, I've never been back but feel that maybe I should go at some stage. It's not just the cherry brandy in Croatia that feels as familiar now as it did to me thirty-five years ago. The towns haven't, to my mind, changed that much, the coastline is stunning and it really is a wonderful holiday destination and I am sure that it won't be long before I am back again.